More On Georgia's Anti-Gay Riot - Joe.My.God. As I reported over the weekend, on Friday an anti-gay mob of 20,000 rioters chased 50 gay rights activists through the streets of Georgia’s capital of Tbilisi. Today the New York Times tracks the government’s non-response. Some of the priests leading the rock-throwing throngs who stormed past police cordons could be seen participating in the melee; one repeatedly slammed a stool into the windshield of one of several minibuses trying to carry the marchers to safety, while another punched marchers and tried to drag a driver out of a bus. Some gave their names in interviews. Georgia’s Prime Minister did issue a statement yesterday in which he denounced the rioters, but he’s taken no further apparent action. 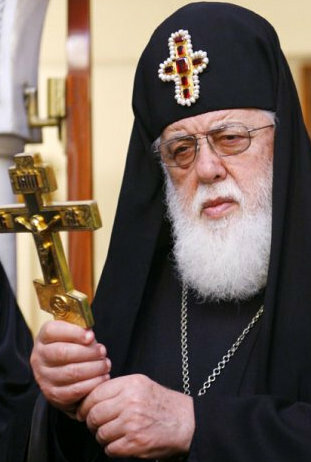 The head of the Georgian Orthodox Church, whose priests organized the anti-gay protest, is unapologetic.